Because it’s a plugin that goes into a protools plugin slot, you can also easily do things like sticking a meter both before and after a compressor – and with four skins to choose from, you can easily tell them apart. 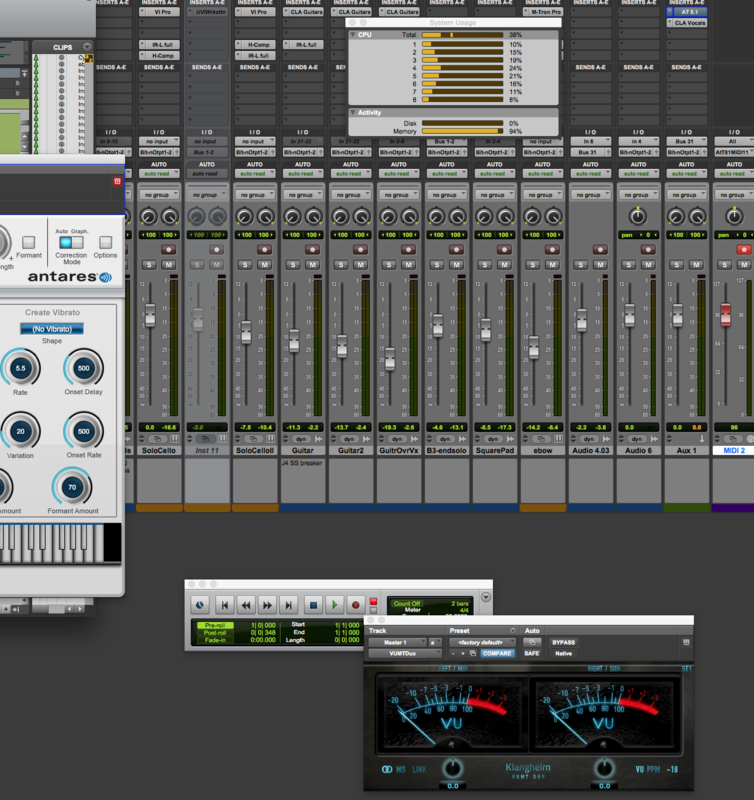 When tweaking a vocal that won’t sit right in the mix this can be a real timesaver. It doesn’t appear to use any CPU to speak of. As a side bonus, when doing faster than realtime bouncing, the peak lights still work, so you get a nice sanity check if you put it across the master fader on bounce. I would give this my ‘best plugin under $10’ prize. So, for those of you who remember Tory from, among other things, Mischief Committee, we have been getting together and doing some tracking. In other news, I upgraded the virtual host that serves qm, so we again have disk space (yay!) and memory (double yay!). We actually have a fair amount of spare capacity on that machine now, which is a very nice feeling. QM and Brigandine both got upgraded to all-SSD operation, we got more disk for storing backups, and in general things were improved all around. Luna continues to drive me nuts, she’s quite a furry little ball of energy. But, I love her. And I continue to work on myself, as always. You are currently browsing the archives for the Sheer Sound Studios / Music category.